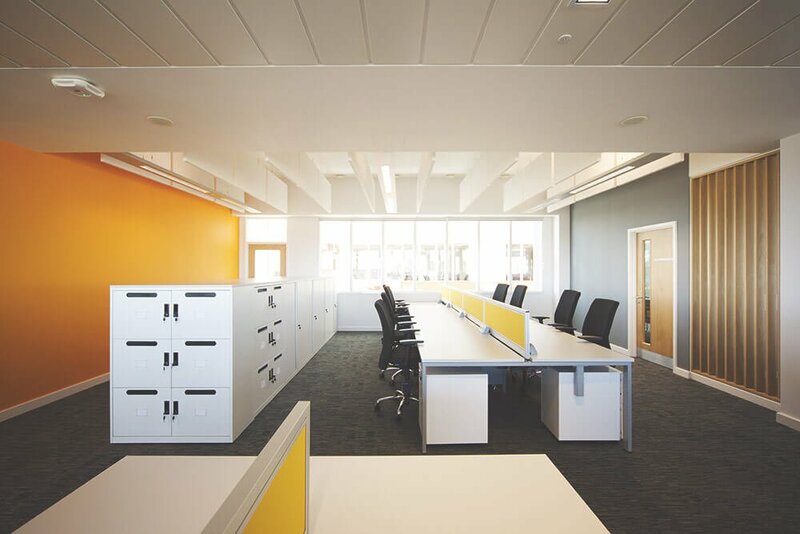 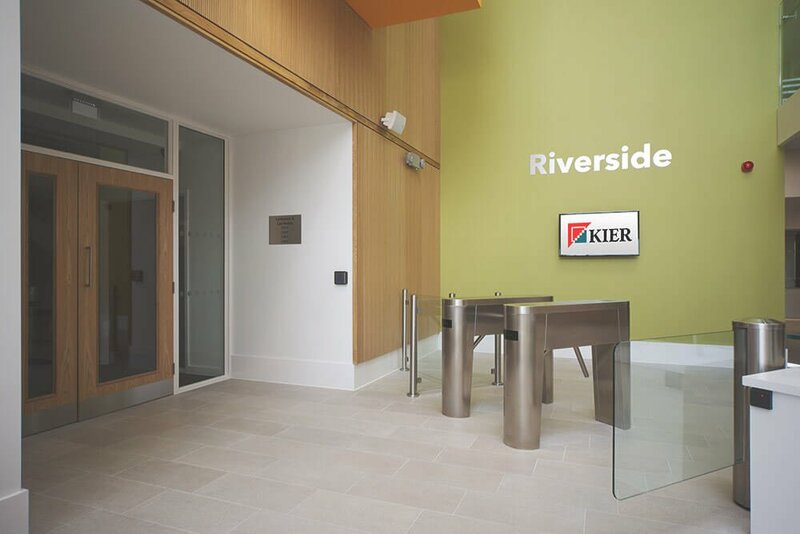 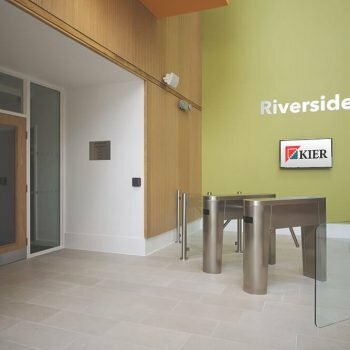 Internal fit out for Kier Construction for the new council offices in Lowestoft. 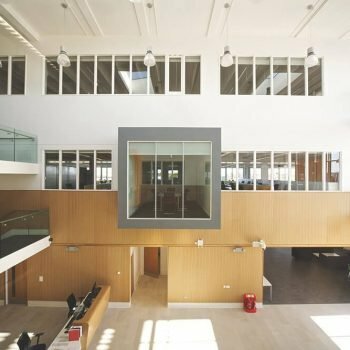 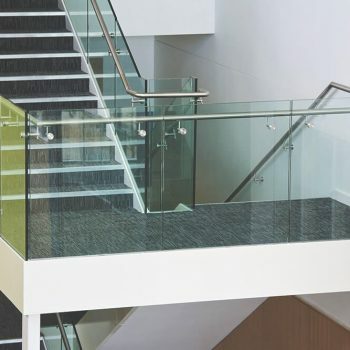 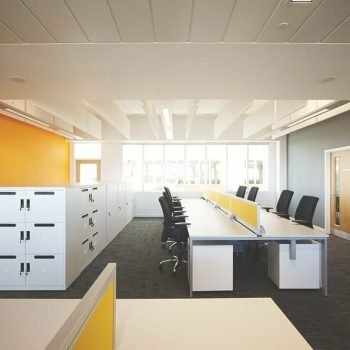 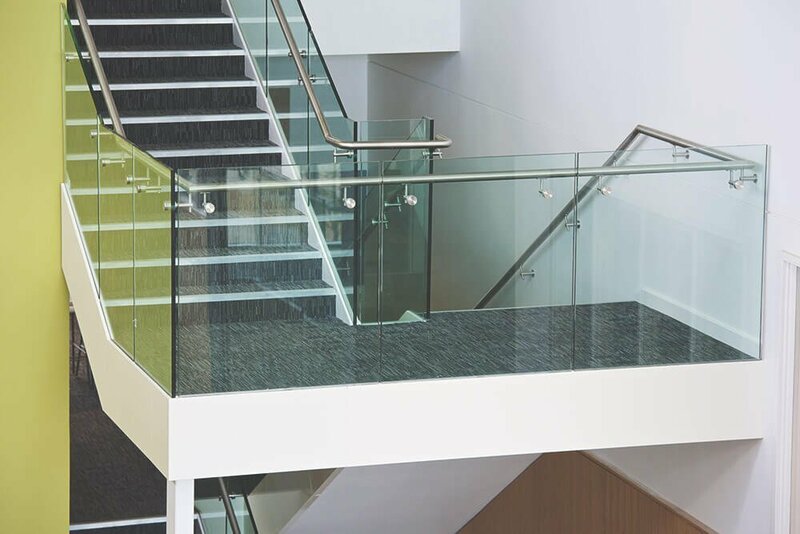 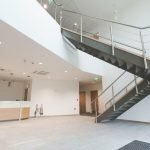 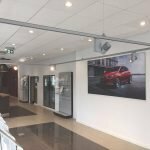 Dry lining – solid partitions – glazed partitions – ceilings – acoustic wall panelling – acoustic ceiling baffles – skimming of walls. 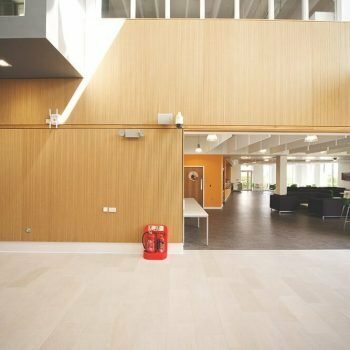 Solid Partitioning: Combination of 50mm, 90mm and 146mm studwork boarded both sides with combinations of board thicknesses and layers. 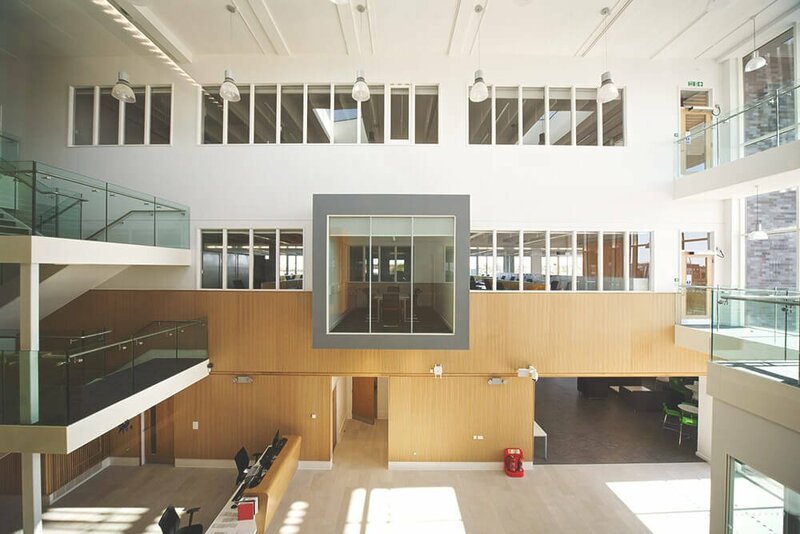 Glazed Front Entrance Screen: Komfort Polar Single Glazed frameless partitioning and full height glass doors. 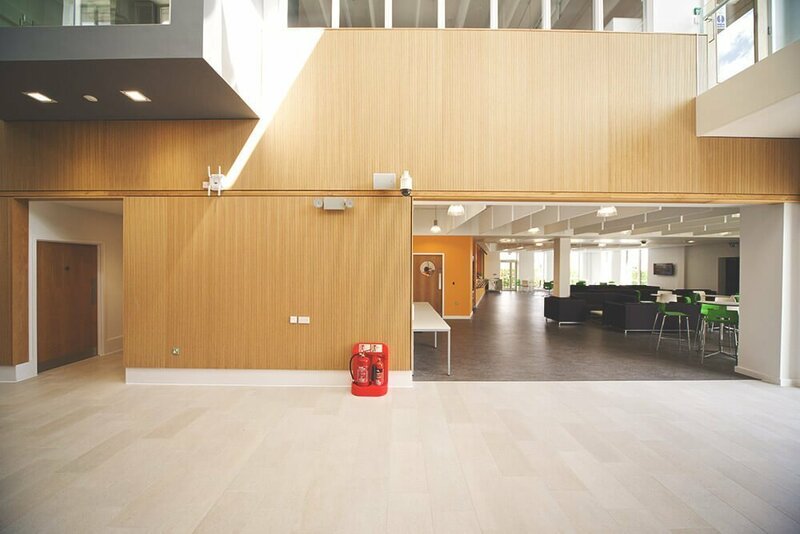 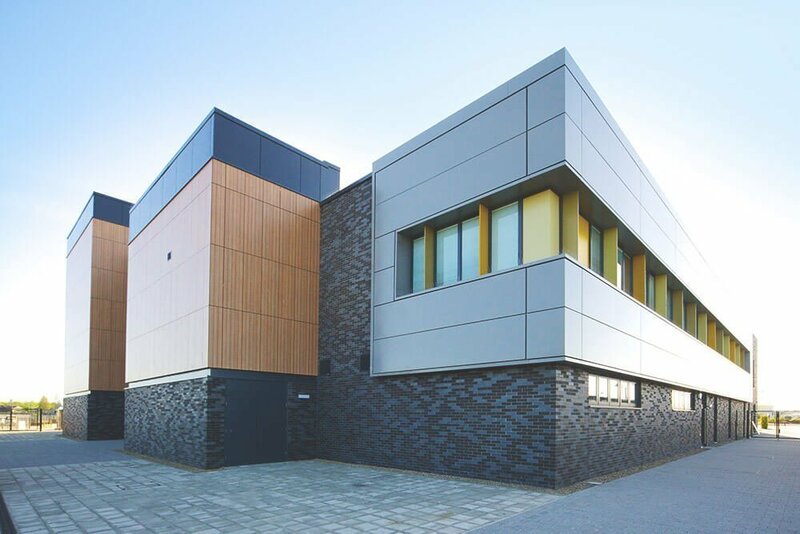 Wall finishes: Thistle Multi Finish skim coat Soundsorba wood acoustic panelling throughout Main Entrance Area. 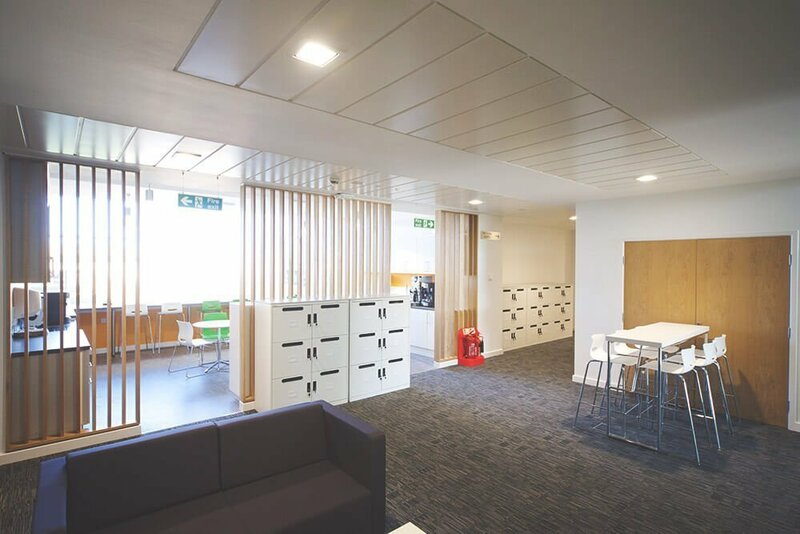 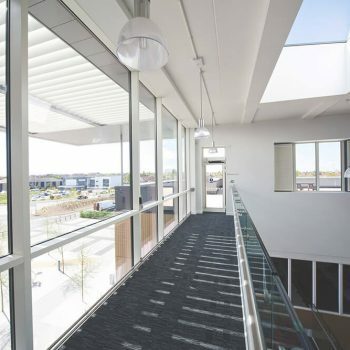 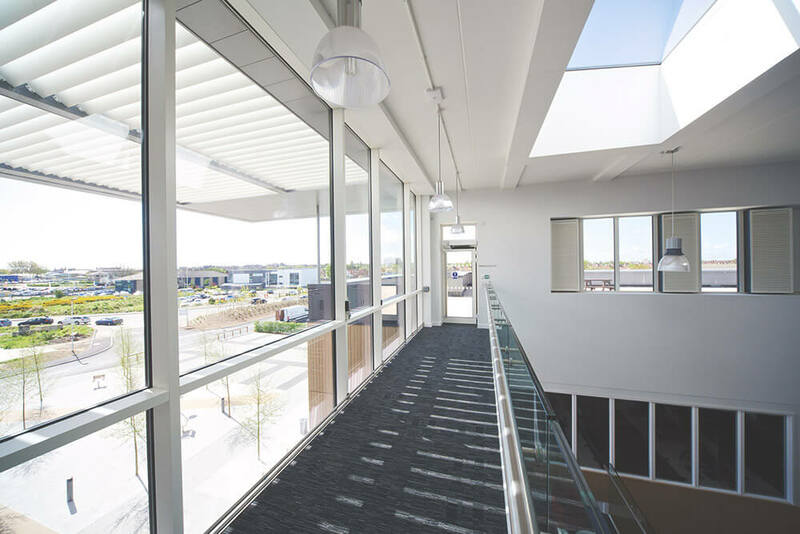 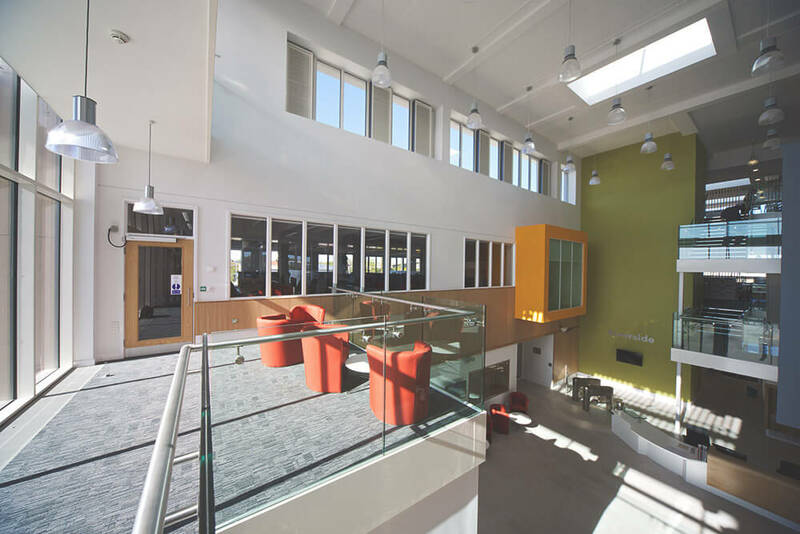 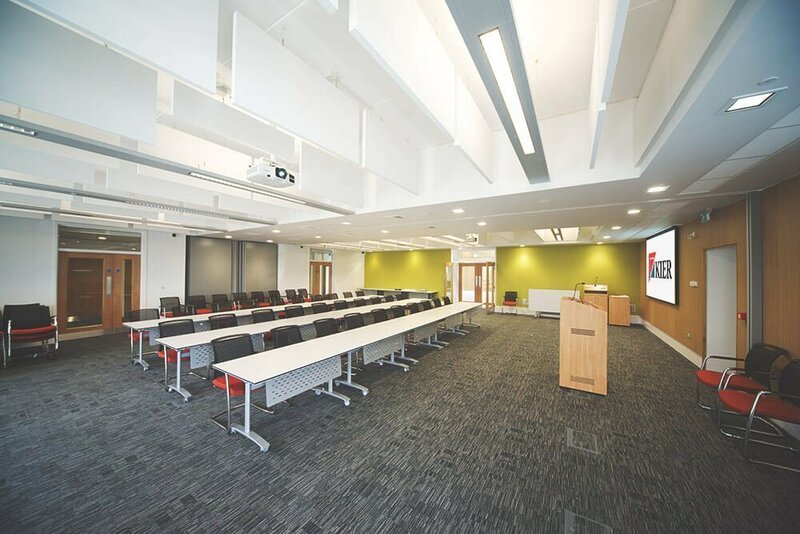 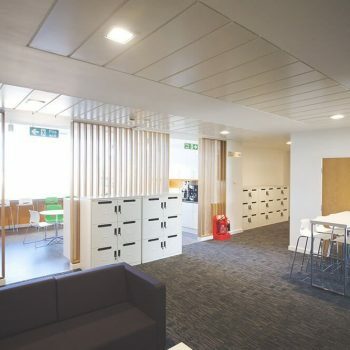 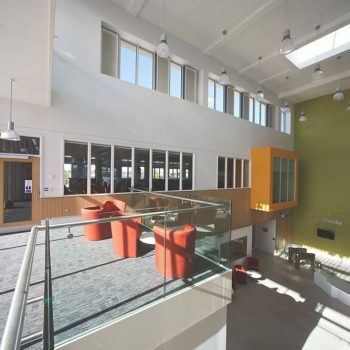 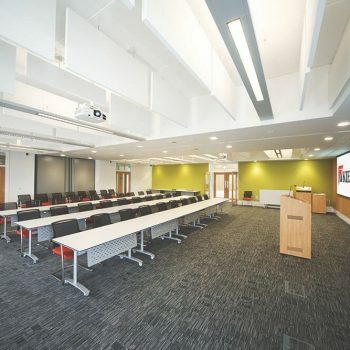 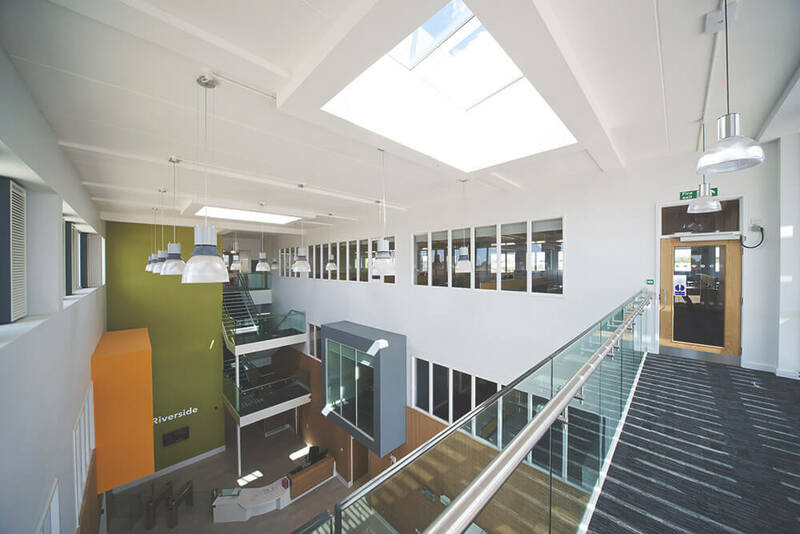 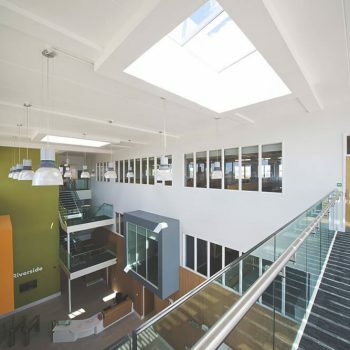 Ceilings: Ecophon Acoustic Ceiling Baffles, Armstrong 600mm x 600mm Dune Tegular tile laid within a 24mm grid system suspended from underside of the concrete soffit, 1500 x 300 Metal Pan Plank tiles in 15mm Grid System, MF ceilings and Bulkheads throughout skim coat finished.